Taking on a cover album by one of the biggest legends in country music is an impressive feat. Doing it tastefully is a whole other story. Matthew Houck, or Phosphorescent as he is more commonly known, is an accomplished musician in his own right, with several full-lengths under his belt, the most recent of which, Pride, has garnered a lot positive press. Doing an album of Willie Nelson cover songs, which is what To Willie consists of, is a respectable yet well-trodden path. Willie Nelson, who may be one of the most prolific musicians to ever record, has a very specific, instantly recognizable voice and instrumental style — one that Houck emulates with grace. However, Houck’s voice is slightly more delicate and his delivery lacks, for lack of a better term, that “country sparkle” that makes Nelson’s music twinge with essence. The problem is, that while most of these songs are about heartbreak or being on the road, it all came straight from Nelson’s gut. It is hard to reproduce that sort of passion without having the experiences Nelson sings about. This is not to say that Houck hasn’t experienced any heartbreak or pain, but Nelson became a star later in life, allowing for many years on the dusty trail. 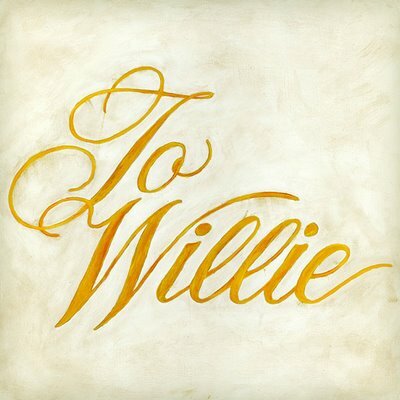 This is not to detract from the musicianship on To Willie, which is excellent; it’s a modern take on the bobbing, steady beat of traditional country music. This emphasis on solid form comes out, especially during live shows, with Houck fleshing out some of the starker tunes with a full band (and a set list that consists of the entire album, in order). Overall, Houck’s effort to channel is subtle, and for Nelson loyalists, may not be consistent. For listeners interested in a casual introduction to some of Nelson’s off the radar hits, this is a good place to start. For Phosphorescent fans not so familiar with Willie Nelson, this is also a nice introduction to the very large and very satisfying discography.